Sicily is the region of the flavours and You on Tour has made a selection of the very best restaurants in Agrigento where eating is a pleasure to be discovered. Sicilian cuisine, famous for its fine art of mixing ingredients and flavours, comes from land’s amazing generosity, but more importantly from the heritage that conquerors left on the island. Histories that, amalgamated by the time and an expert imagination, have created a Cooking rich in sweet-smelling products, spices and tastes which are – just like Agrigento – suspended in a charming equilibrium between the land and the sea. In the best restaurants of Agrigento, sitting down at the table is one of the most pleasant moments to discover the Sicilian history through her delicious dishes. 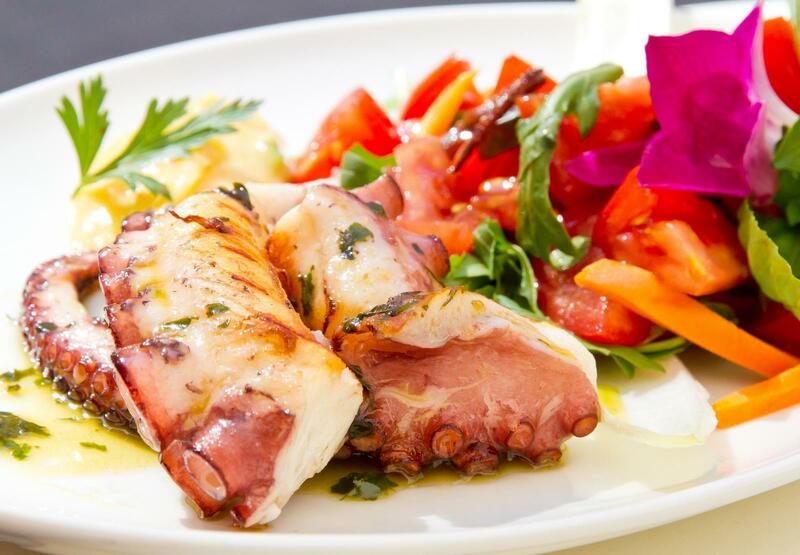 Rich fish or meat grills flavoured with olive oil and aromatic herbs but also table olives, aged ricotta cheese and honey, date back to the Greek colonization of Sicily, when the tales of banquets of Agrigento’s tyrants were told in Athens. Such feasts were always accompanied by a very good wine produced in Sicilian vineyards already well-known and appreciated, at the time. Besides Greek and Roman heritage, the greatest contribution to Sicilian cuisine came from three populations: Arabs, French, and Spanish. The Arabs introduced the sweet-and-sour cooking, aubergines, raisin, spices, rice, chickpeas, pistachios, sugar cane, sweet almonds, cinnamon, candied fruits, marzipan, citrus fruits and fruit sorbets. The French introduced in Sicily the use of sauces, pies, stuffed meat, meat balls and ragout. And last but not least the Spanish introduced tomatoes, potatoes and chocolate from the Americas, the use of coating in breadcrumbs, omelettes and ‘Pan di Spagna’, that is a sponge cake. However, it is not easy to distinguish among all the contribution that each culture gave to our island. Anyway, by the creative use of such a rich heritage, many delicious dishes have been created by Sicilian chefs. What to eat in Agrigento? 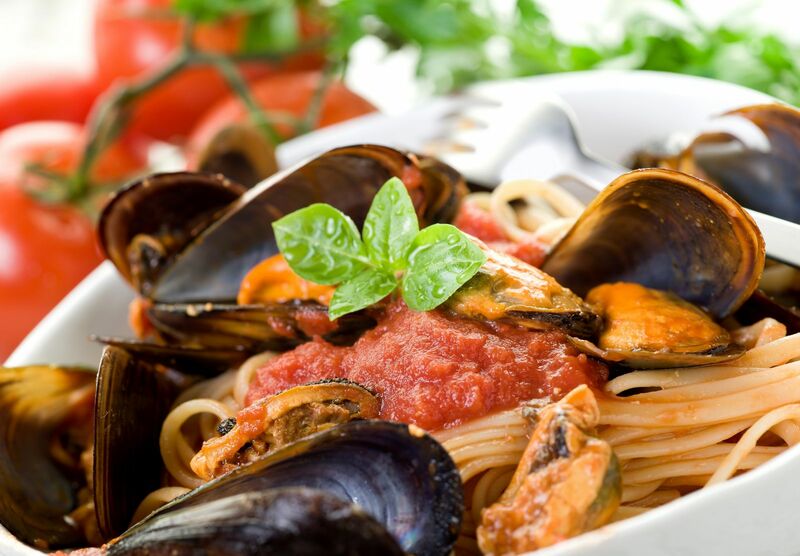 Many authentic Sicilian delights like as: aubergine caponata, cavatelli alla agrigentina (pasta with aubergine and aged ricotta), stuffed sardines “a beccafico”, spaghetti with mussels, spaghetti with sea urchins, spaghetti with squid ink, boiled octopus, broad beans’ macco (velvet sauce), Sicilian meat roll, panelle (chickpea fritters) and arancini (rice balls), just to name a few. 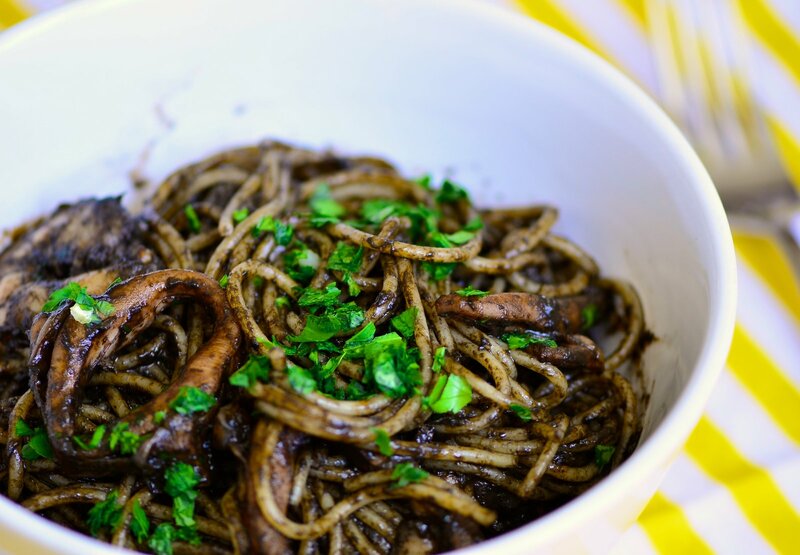 Recently, some local dishes have become famous thanks to ‘Inspector Montalbano’, a character created by Andrea Cammilleri, a well known writer from Porto Empedocle, a town near Agrigento. But the flagship of Agrigento and Sicily gastronomy is gourmet-pastry making. A triumph of cakes, sweets and pastries with ricotta cheese, chocolate, fruit, almonds, pistachio, honey in a thousand colours and combinations. And obviously let’s not forget the Sicilian cassata, cannoli with ricotta, almond pastries, pistacchio ricci or sesame cookies, buccellati, fruit grenadine, and the most surprising ice-creams. Sometimes pastries and local dishes are creatively revisited by chefs to offer new unforgettable pleasures. Welcome to Agrigento and enjoy!